Posted on July 25, 2014 by Sarvjeet Singh. Ensuring that neutral platforms and services on the Internet are treated as such is of great significance to the health of the capacities to communicate and innovate over the Internet. Intermediary liability essentially relates to the question of whether access providers, social networks, content platforms and other providers of services on the Internet should be held liable for contented generated by their users. Despite its broad relevance and widespread consequences, the issue is insufficiently engaged with outside of legal or technical discussion in India. The present framework for the treatment of intermediaries is a very problematic one. The Information Technology (Intermediaries Guidelines) Rules, 2011 are problematic for a number of reasons, but their overall effect has been to chill Indians’ civil liberties to a degree that our Constitution would not permit. A Parliamentary Standing Committee report has agreed. This is a critical time for intermediary liability issues. A number of challenges to th e present framework (see here for a list) await hearing before the Supreme Court. 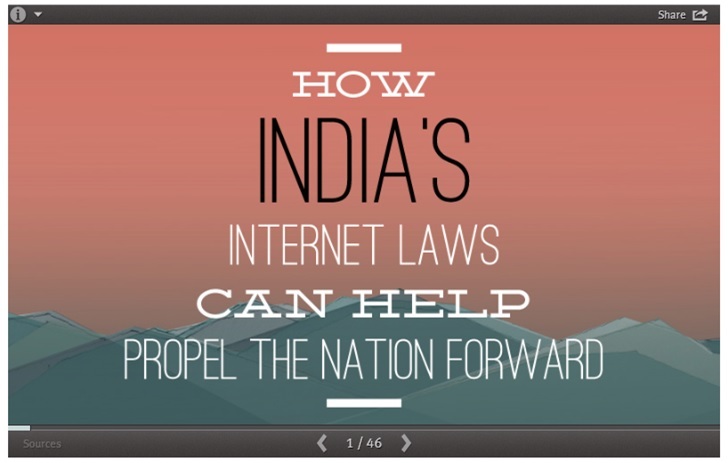 The Global Network Initiative (GNI) and the Internet and Mobile Association of India (IAMAI) have put out a slideshow that is a useful entry point into the issue. Tagged india, intermediary liability, and Supreme Court.